Huge Savings Item! Free Shipping Included! Save 17% on the Mir Unisex- Adult 20LBS Solid Ankle/Wrist Weight by Mir at Strongman Pictures. MPN: ankle20. Hurry! Limited time offer. Offer valid only while supplies last. Mir ankle/wrist weights are comfortable as can be. 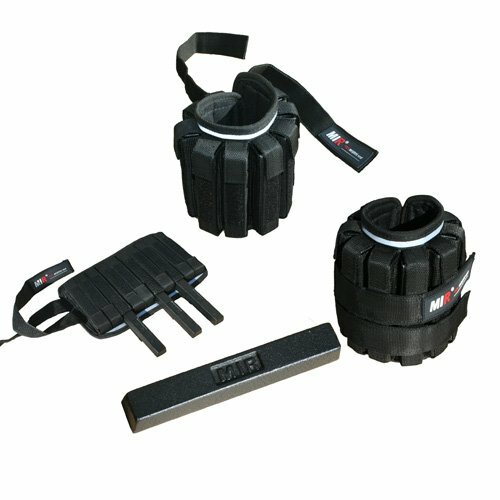 With the 20lbs of weights, you can add this item when you walk, run, do cardio or any warm-up. Mir ankle/wrist weights are comfortable as can be. With the 20lbs of weights, you can add this item when you walk, run, do cardio or any warm-up. With the padded cushion, it ensure comfort while you can have a intensive workout. Add resistance where it is hard to add weights on and perfect fit. Ankle and wrist are a key essential in your life. With a healthy ankle and wrist you can reassure your self with better health. You always need to exercise you muscle, or it will go to waste. This is a simple and easy workout tool. Easy to put on and take off. Adjustable from 1lbs to 20lbs. If you have any questions about this product by Mir, contact us by completing and submitting the form below. If you are looking for a specif part number, please include it with your message.